Crude oil prices crashed yesterday, losing 7 percent in just one day, which was the biggest daily loss in three years and today continued down in early trading as headwinds overwhelmed any bullish factors. After a rather rocky start to Wednesday trading, oil prices managed to tick upward, with WTI trading at 2.32% by 10:14am EST. Brent had rallied 2.63% to trade at $67.19 at the time of writing, despite pressure by a vicious combination of demand outlook, oversupply concerns and a couple of other factors such as President Trump’s call on OPEC to keep production at current levels. At the same time, OPEC revised downwards its global oil demand forecast for this year and next, for the fourth month in a row. 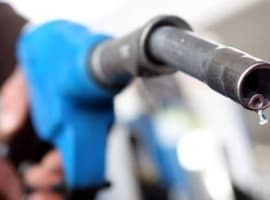 The cartel said in its latest Monthly Oil Market Report it expected oil demand this year to rise by 1.5 million bpd, a downward revision of 40,000 bpd from last month’s MOMR. Next year, OPEC sees global oil demand rising by 1.29 million bpd, which is 70,000 bpd less than what OPEC expected last month. 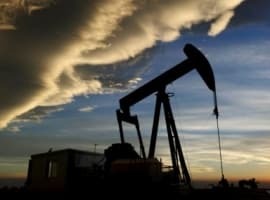 This added insult to injury, after the Energy Information Administration last week reported U.S. crude oil production had hit a record of 11.6 million barrels daily two weeks ago and was on track for further growth this year and next. Despite today’s partial rebound, crude is now officially in a bear market, having lost 20 percent over a little more than a month thanks to this combination of factors along with the sanction waivers that the U.S. administration granted to eight large Iranian oil importers, pretty much diffusing the bomb of shortage concern that had some analysts forecast Brent at US$100 a barrel by the end of the year. Because of its very strategic and economic importance to the global economy, oil is always subjected to various economic and geopolitical pressures virtually on daily basis thus creating a volatility of prices. That is why one shouldn’t be surprised to see oil prices shuttling between bull and bear markets all the time. A few weeks ago oil hit $87 a barrel. Today it is $67. The day after the markets could change from bearish to bullish sending prices up to $80. I never believed for a minute claims by the US Energy Information Administration (EIA) about the rise of US oil output to 11.6 million barrels a day (mbd). The EIA’s weekly figures are normally 700,000 b/d to 1 mbd higher than the monthly figures. So production figures could have been estimated at 10.6 -10.9 mbd if any. The EIA has always worked on the premise that by the time it published its monthly figures, the global oil market would have forgotten about its exaggerated claims in the weekly figures. Still, my estimate of US oil production is no more than 9.90 mbd made up of 5.59 mbd of shale oil and 4.31 mbd of conventional oil. Furthermore, US domestic consumption is just over 20 mbd and its imports amount to 10 mbd meaning that US shale oil production could not be higher than 10 mbd. 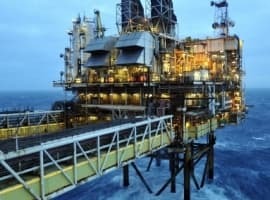 You and other contributors to the oilprice.com continue to extol the impact of US oil production on the global oil market and prices. If that is the case, then why does President Trump keep harranguing OPEC to raise production to keep prices down. It points to one thing: EIA’s claims are plain untruths. You also exaggerate the importance of a downward revision of 40,000 barrels a day this year by OPEC and another revision of 70,000 b/d in 2019. Such revision is so insignificant compared to the glut of 2-3 mbd that existed previously. The robust fundamentals of the global oil market are still the same as they were in October when the oil price hit $87. Thse fundamentals could still support an oil price ranging from $80-$85 before the end. So typical. Oil is sloshing around the world. Canada is selling it for $15 because it can't get it out of Canada. U.S. production is soaring beyond all projections which I forecasted would happen if prices went to $60 and over. Everyone was so greedy they pushed prices up further and fast than justified, and they managed to kill off demand. The greed of the energy and support industries can always be counted on to push the price too far too fast and sabotage their medium and long term prospects. They are the ones that yoyo the price. Saudi Arabia should be happy with WTI in the $55 to $60 range, that won't kill off growth, demand, and spur gold rushes in shale oil and gas, but that won't happen. They don't realize that oil/gas aren't that scarce anymore. There's plenty there just waiting for the right price to get to it, and that price comes down all the time as technology improves. They also don't get that renewables are real and their costs are dropping and the higher they push the price the more market share they lose and the fast those markets can improve their costs. Oh well!